So far in our nutrition series we have looked at vegetable intake, protein and dietary fat. Because two of the macronutrients have been covered (protein and fat) that leaves us with the remaining biggie: carbohydrates. Carbs have received some very bad publicity and have been demonized over the years but they are an essential part of a healthy diet. The key, of course, is to choose quality carbohydrates and either eliminate or reduce the processed, refined choices. Processed foods like packaged cakes, cookies or pastries, fast food, white rice, white bread and the like are the culprits that earn the bad reputation that is given across the board. Our bodies don’t manage these well and the more refined the item is, the worse it is for our health and our waistline. In addition to poor quality, there is also a very good chance that these products have a lot of added sugar which is a highly refined simple carbohydrate. Many people are not aware that vegetables and fruit are carbs and they are one of the best choices available to us. Choose a rainbow of veggies and many of the fantastic summer fruits. They are full of phytochemicals and antioxidants and a great filler with few calories most of the time. When choosing other carbohydrates, aim for whole grains and as little processing as possible. Think wild rice as opposed to white or cooked, steel cut oats instead of a packaged breakfast cereal. There are wonderful recipes available to make cooking more interesting and your whole food choices tasty as well as nutritious. Remember that only a quarter of your plate should be starchy (breads, rice, etc) carbs and on another quarter sits your protein source. The remainder will see your veggies filling out your plate, ensuring the best possible meal for you. Nutrition is a broad topic and there are many, many questions that are regularly asked in regard to food intake. A typical client will ask questions about protein intake, “good” or “bad” carbohydrates, how to eat at restaurants and balancing eating for their training. All those questions are important and deserve answers that are well thought out and pertinent to each individual. There is not just one eating plan that is perfect for everyone and individualization must occur, depending on a client’s goals. Each month we will address a new issue around that of nutrition and we will begin with one of the most basic tenets of all: Eat your vegetables! This is one guideline that truly is for everyone and is overlooked far more often that it should be. Canada’s Food Guide recommends that a female between the ages of 19 and 50 eat 7-8 vegetable and fruit servings daily and males should take in 8-10 servings. Ensure that vegetables are on your plate more often than fruit if you’re looking to lose weight. Choose brightly coloured varieties as often as possible; think Romaine lettuce in lieu of iceberg. Dark hues like purple, deep green, orange and red are terrific carriers of phytochemicals and antioxidants. 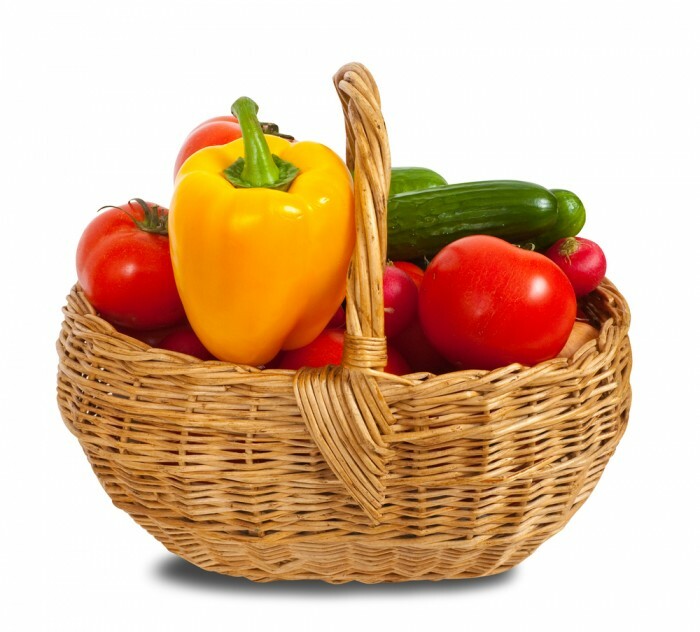 A serving is a mere half cup cooked or full cup of raw veggies so check out the produce section and load up on those wonderful and healthy veggies today! Many people forget the importance of proper fluid intake, especially in the winter. When you start to get thirsty you are only about 1% dehydrated, therefore just drinking when you are thirsty can work to replace lost fluid in sedentary people that are in controlled climates and have easy access to water, but is not necessarily ideal. For an athletic population even being dehydrated by 1% can hinder your performance. That is why it is so important to maintain optimal hydration levels when participating in physical activity. In preparation, you should drink at least 500ml of fluid 2-3 hours before activity and another 250ml 10-15 minutes before your activity. This fluid is needed to achieve optimum hydration prior to exercise. During the activity, you need to maintain adequate hydration levels. To do this you should have a regular intake of fluid during the activity of around 250ml every 15 minutes. Do not wait until you are thirsty because by that time you are already dehydrated and your performance will suffer. For activities that are less than an hour in duration stick to plan old water as your choice of fluid replacement. For activities that are longer than one hour you can choose a sport drink that is going to replace fluid, carbohydrates and electrolytes. During exercise you do not burn enough fat for any type of noticeable difference on the scale. If you do weight yourself before and after a workout session and you have decreased in weight, you have lost a lot of fluid and you need to re-hydrate. The best way to optimally re-hydrate after your activity is to weigh yourself before and after your activity and for each kilogram lost consume 1 litre of water. Many people mistake the weight lost during exercise as fat loss when it is actually fluid loss. Do not ignore this lost fluid. In today’s society, there are hundreds of fad diets out there that people are desperately trying in order to lose weight. The problem with these diets is that they often deprive our bodies of vital nutrients and leave us feeling fatigued and starving. In last month’s blog, we discussed The Paleo Solution. Carb cycling is somewhat different but yet extremely effective. It’s an approach that bodybuilders and figure competitors swear by and have been doing so for years. Many use the 3:1 day ratio meaning 3 low carb days to 1 high carb day. The reason why this can be so effective is that by raising your calories every 4th day you actually help restore your metabolism-regulating and anti starvation hormone levels closer to normal. 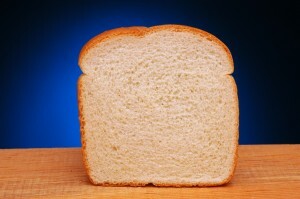 Carb cycling works great but there has to be a calorie deficit or else you may not see the results you want. Keep in mind that you don’t want to be in calorie deficit too long because it puts stress on your body and slows down your metabolism as an adaptation to the restricted calories, hence the 3:1 ratio. There are also psychological benefits to carb cycling. When you go on other diets that restrict food for a long period of time, mentally you become exhausted and crave the food you can’t have making binges more common than not. When you carb cycle you know that every few days your body will get more calories, and especially carbs…3 days is nothing! A possible benefit of carb cycling may also be the reason why some people put on lean mass while still in a calorie deficit. When you raise your calories every few days your body is no longer in a deficit and will use the extra calories towards muscle tissue for growth. Carbs are your bodies preferred source of fuel so your workouts will be more intense. The more intense your workouts are the more fat you burn and the more muscle you build. One last note about carb cycling is that you need to account for the swings in body weight due to glycogen and water. After 3 days of low carbs you may have actually lost weight but after a re-feed day, your body composition has improved but you have gained total body weight due to glycogen and water from carbs. Don’t always rely on the scale to keep you motivated. The world of numbers is vast and grey and there are so many variables that go into the number you are “supposed” to weigh. It’s really more about inches and body fat loss in a percentage rather than in a number on the scale. If your clothes are fitting loosely and you have more energy, it doesn’t matter what the scale says.